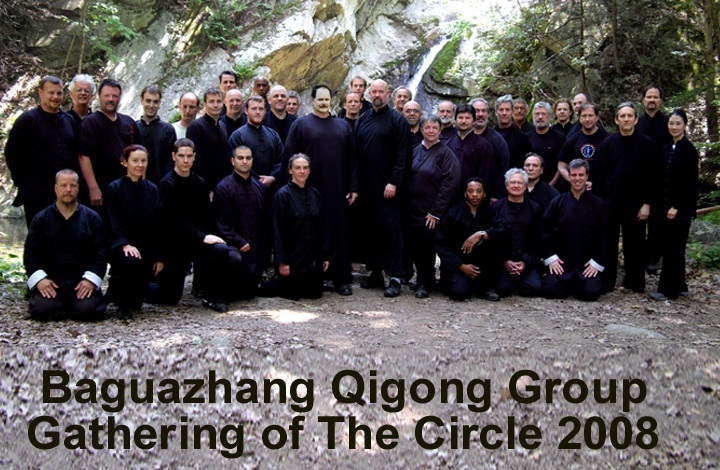 Each year following The Tai Chi Gala, John Painter offers a four day retreat featuring the Li family method of Nine Dragon Baguazhang called The Gathering of The Circle. This event is designed to be applicable to all levels and new students of the internal martial and health arts. Here you will find all the information you need about this great event. No matter what style of Baguazhang or other internal arts that one practices or even if a beginner you will find that attending the Gathering of The Circle can add a treasure trove of practical, useful information that will be worth its weight in gold in your own internal practice. Heaven Palm in Jiulong Baguazhang has nine hand and arm formations watch with a specialized usage. Students just starting out learn the first two mother and father positions similar to what one sees in other styles of Baguazhang. The seven other palm formations are evolved from the first two and each has unique characteristics for practical martial applications or as health related Daoyin methods. In this fascinating course we will emphasize the ways to move and use these very interesting and powerful methods for neutralizing almost any strike, grab, throw or kick. We will also examine the palms striking, locking, throwing and projecting capabilities. 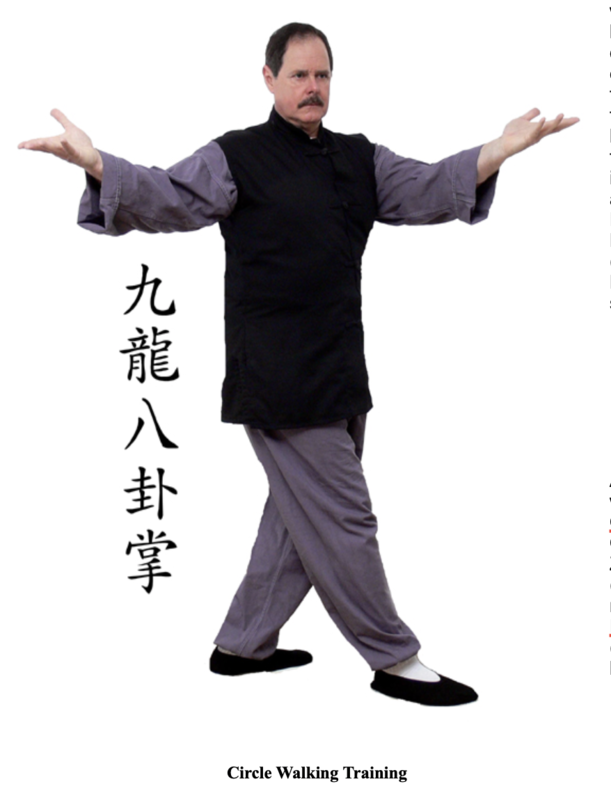 As we learn linear and circular walking turns and applications of these advanced palm methods related to Heaven Palm from Jiulong Baguazhang. Here are the names of the seven advanced palms. 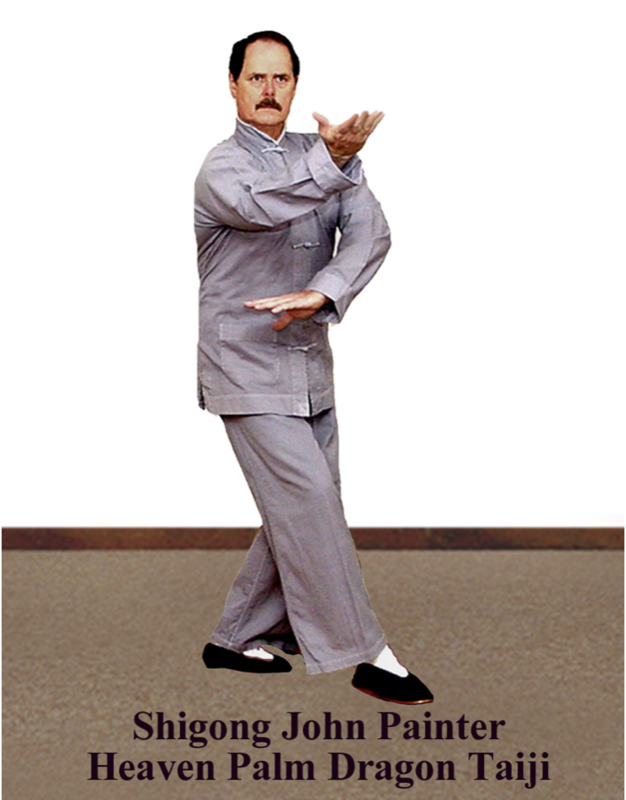 Heaven Palm Yizhang Yi Zhang (intention palm) is the Li family method of Yiquan a high level method of standing meditation. It is designed to examine how a way to understand what the old masters called internal power. Through Baguazhang Yi Zhang you will learn how to gain speed, strength and power for your martial techniques. Preferred by bodyguards for use in close quarters or open areas the San Ji Gun is a fantastic weapon to help develop hand eye coordination and strength in the wrist and hands. Utilizing bagua turning and footwork it is also highly beneficial for developing the core strength and dragon body tactics for Baguazhang practice. The cost to attend The Gathering of The Circle is very, very inexpensive for the time, value and information you will receive. By special arrangement with the Lindenmere and Loretta Wollering those who sign up will receive free food and free lodging during the entire Gathering of The Circle. Please join us. We guarantee you will not be disappointed. The Gathering of The Circle is an intensive workshop lasting four days. This event features training for up to six to eight hours a day for total emersion in a specific aspect of the Nine Dragon Baguazhang (Jiulong Baguazhang) system. Next is the main lesson which focuses on a study of one aspect from our Li family system. 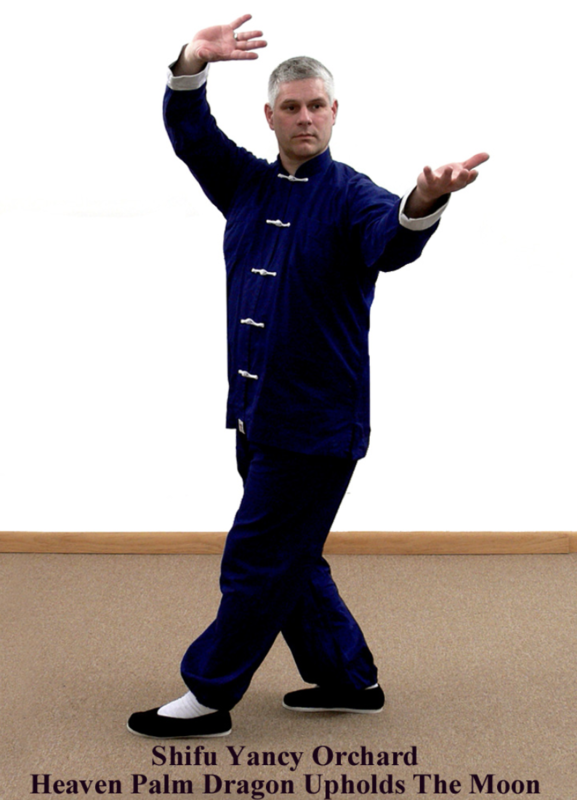 Students learn basic principles, of Baguazhang movement, linear and circular walking methods rapid turns and evasion tactics used in the study of the featured palm. 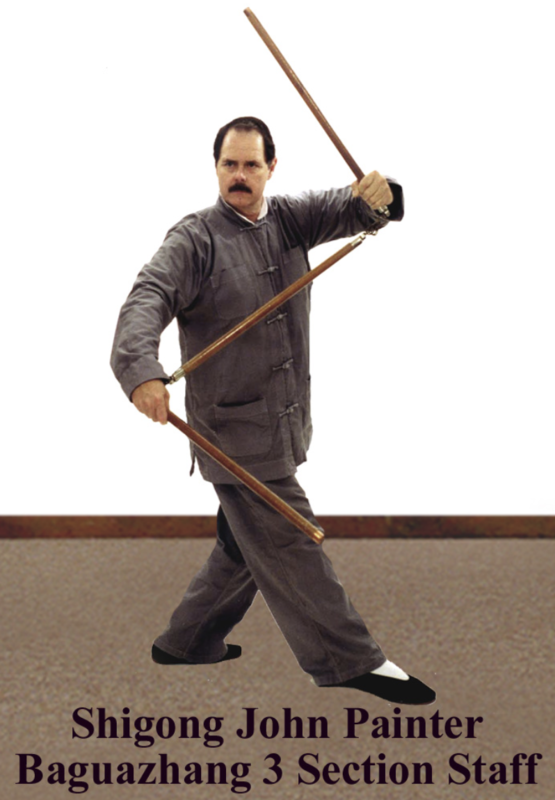 Each “palm” in Jiulong has more than one method of usage and is capable of neutralizing attacks from fist or foot and able to incorporate locking, throwing and striking from a number of angles. In short if one knows only one palm from this system one has a very formidable martial system at his or her disposal. Session 2 Following lunch the mornings methods are examined in the light of push-hands games and practical, realistic applications for self-defense comprised of combative scenarios against attacks from various forms of other martial arts such as wrestlers, boxers, Karateka, Kicking styles and MMA type opponents. These are practiced in single and multiple attack medleys. All actions are supervised by three fully certified Shifu of the art for safety and realistic content. Session 3 After supper Dr. Painter and his assistant instructors present a course on a classical weapon as related to the method, palm or art being studied that week. Like Baguazhang palms these weapons are studied in the context of their practical usage as defensive combat tools, not fanciful demonstration dance forms. Departing the property before noon. Taijiquan Master Jou, Tsung-Hwa a scholar of the Yijing (book of changes) and founder of the famous Zhang San Feng festival in Warwick New York had a dream to preserve all of the traditional Chinese internal martial arts for all of mankind. In 1985 Master Jou and Dr. John Painter met at Pat Rice’s A Taste of China event. Dr. Painter shared his ideas and exhaustive research concerning the connections of the Yijing to Li family Baguazhang. The two men became fast friends. 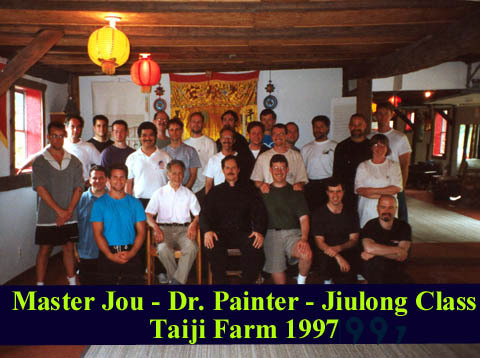 Master Jou often aided Dr. Painter in his research into philosophical concepts that are a part of the Yijing and how they might relate to the martial arts Daoism and Buddhism. 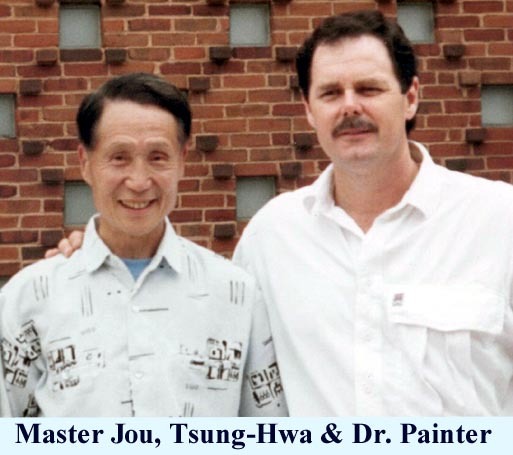 After examining the Li family Jiulong Baguazhang system very carefully Master Jou invited Dr. Painter to present a series of workshops to introduce this system of Baguazhang to the internal arts community. Master Jou and his friend Master B.P. 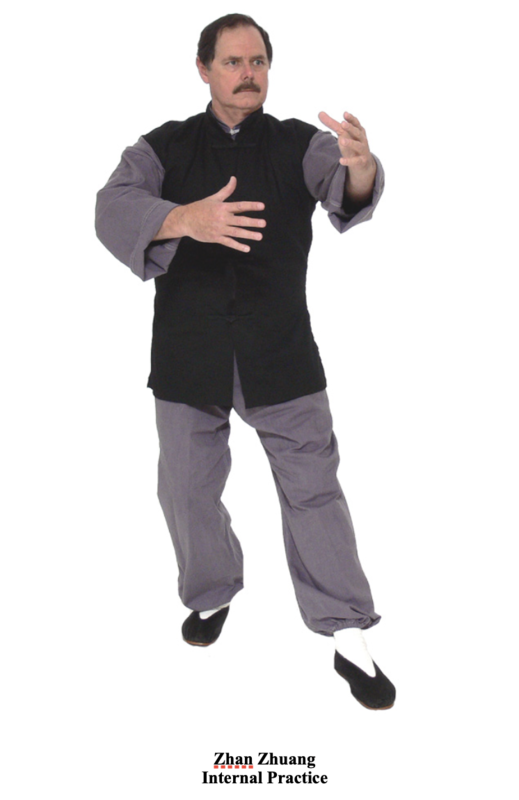 Chan, a high level Baguazhang player himself became convinced that the Jiulong Baguazhang method was worthy of preserving as it is one of the few remaining “family” systems of Baguazhang that still contained the essence of Daoist concepts along with a linking of Baguazhang to the Yijing. Dr. Painter was to present a series of Baguazhang camps the week following the annual Zhang San Feng Festival. These camps were held in the 150 acre wooded retreat at Tai Chi Farm in Warwick New York. The first Gathering of The Baguazhang Circle was attended by about fifteen people, the second by twenty+, and the numbers and interest in the art has only increased over the years. Master Jou and Master Chan were very happy that Jiulong Baguazhang had not evolved into a watered down modern sport “performance” martial art similar to the types of Baguazhang that were being promoted for Chinese Wushu tournaments at that time. 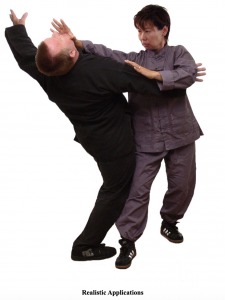 They both wanted to have Taijiquan, Baguazhang and Xingyiquan continue to contain all the original aspects of health and warrior skills that had been part of the original methods. Today the Gathering of the Baguazhang Circle has grown into one of the largest events of its kind in the Western hemispheres. After the untimely death of Master Jou in an automobile accident his student Loretta Wollering continues to carry on the tradition of the Zhang San Feng Festival through her Tai Chi Gala events. Ms. Wollering also honors her teachers’ wishes and tradition by continuing to sponsor the Jiulong Baguazhang Gathering of The Circle each year following the Tai Chi Gala. Thanks to Master Jou’s support the Li family system of Baguazhang has grown into an international organization with schools in Asia, Canada, Europe, Israel and throughout the united states. At The Gathering many of the teachers, assistants and instructors are in attendance sharing and learning from each other and welcoming new interested students.